Drapers Hall Restaurant in Saint Mary’s Place has already secured a place on the culinary map of Shropshire for its five star A La Carte menu and top-notch dining experience but owners Edward Taylor and Robert Jones are now also aiming to be the town’s first choice for high quality, casual dining. 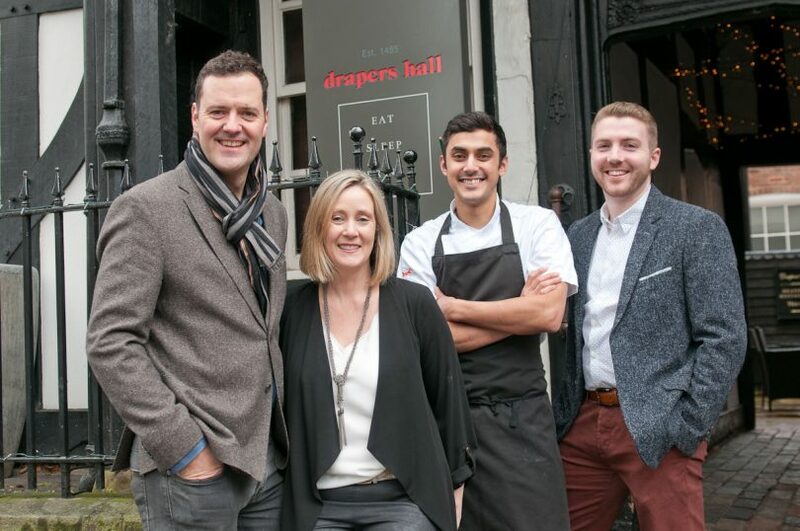 The pair have launched a brand new ‘Drapers Kitchen’ menu to appeal to the changing tastes and demands of a wide range of diners including vegans and vegetarians and people looking for healthy meal options. Mr Taylor said: “Consumer tastes are changing and so are the way they engage with restaurants and therefore we are having to adapt to people’s needs. “Shrewsbury is a thriving town and there is no shortage of places to eat and drink but what we’ve noticed is a growing demand for significantly better quality, healthier and faster, casual dining that pays more than lip service to healthy, vegan and vegetarian options. “Whilst we will continue to serve our long-standing, well reputed A La Carte dining menu seven days a week in the Drapers Hall, our new week-day menu will provide a more casual alternative with food being served in the bar, buttery and when the weather allows alfresco outside in the courtyard. “The menu includes some of our very best tried and tested dishes from around the world including what we are claiming to be the finest cheese steakburger in Shrewsbury. Mr Taylor added that the new Drapers Kitchen menu, available Monday to Friday from 5pm, was a perfect alternative for families, couples, friends or people visiting the town on business.